Boasting the youngest squad for the second World Cup in a row, Ghana will be seeking redemption for a heartbreaking 2010 quarter final exit. The 2010 quarter final has haunted Ghana for years as they were cruelly denied a semi final berth – the first in history for an African nation – by the hand of Luis Suarez, before crumbling under the pressure of a penalty shootout. World Cup qualification looked dicey for the Ghanaians when they came up against formidable opponents Egypt in the final round of CAF qualifying, a game that was a must-win for a football-mad country. But when Ghana produced its best performance of the qualifying process to trump Egypt 6-1 in the first of two legs, a passage to Brazil was all but assured and dreams of a 2010 repeat – only with a happy ending – were sparked. Those dreams were somewhat dulled when Ghana was drawn alongside the heavily favoured Germany and Portugal, as well as the United States, in arguably the toughest group of the tournament. Although the Black Stars’ squad is mostly made up of the next generation of Ghanaian players, many mainstays of the nation’s last two World Cup runs have also been included. Captain Asamoah Gyan, Michael Essien, Kevin Prince Boateng and Sulley Muntari have all been plying their trade in Europe’s top leagues for the better part of a decade and will once again form the spine of Ghana’s team at the World Cup – perhaps for the last time. 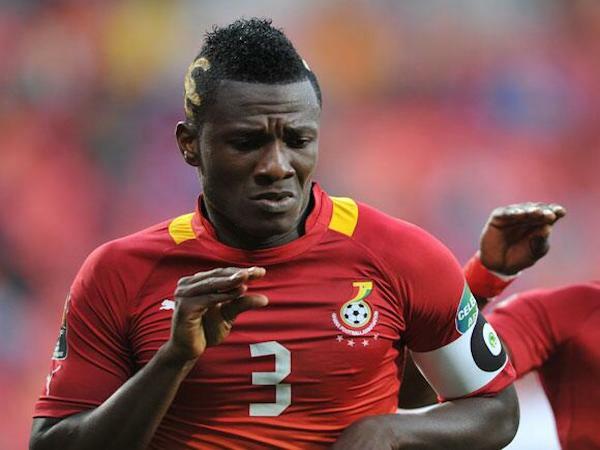 For Gyan in particular, performing at this World Cup is paramount in order to bury his personal World Cup demons. It was his penalty in the last minute of extra time of the 2010 quarter final that hit the crossbar and forced Ghana into that ill-fated penalty shootout. Meanwhile Essien and Boateng are both enjoying a second coming of sorts, having both taken sabbaticals from international football, with Boateng going as far as to announce his retirement from international duty. In midfield, Ghana has no shortage of talent with the aforementioned Essien, Boateng and Muntari being joined by Kwadwo Asamoah and Andre Ayew in a settled engine room. In defence, however, the opposite has rung true with manager Kwesi Appiah constantly rotating Samuel Inkoom, Daniel Opare, Rashid Sumaila, Jonathan Mensah, John Boye, Harrison Afful and even Asamoah through defence to try and find the right combination. Up front, a heavy reliance on Gyan to provide goals could also prove to be their downfall. The answer to their problems could be 22-year-old striker Jordan Ayew, brother of winger Andre, who is making a strong case to start in Ghana’s first game after a hat-trick in a warm-up match against South Korea. A 4-2-3-1 formation looks most likely for Ghana against the United States, with Stephen Adams pulling on the goalkeeper gloves, Inkoom and Opare joining centre-backs Sumaila and Mennsah to make up the back four and with the reliable Essien and Muntari deployed as holding midfielders. Andre Ayew and Asamoah are likely to start on the wings, with Gyan playing in front of Boateng as the lone striker. While the experienced heads are no doubt the most recognised players in the Ghanaian squad, Juventus winger Asamoah will be their most important asset at the World Cup. Asamoah played a vital role in Juventus achieveing Serie A glory last season, featuring in 50 games and making 47 starts. His defensive prowess and tireless running are underrated and will be crucial if Ghana’s shaky defence is to hold up against onslaughts from Germany and Portugal. In a group that promises many draws, four points should be enough for Ghana to achieve the unlikely and make it to the round of 16. A win against the United States for the third consecutive World Cup is imperative for the Black Stars in their first game, leaving them the tough task of salvaging a point against either Germany or Portugal. Ghana will be praying that Germany has secured safe passage to the round of 16 by the time they face them in their third game, presenting an opportunity to steal a point.